Simple elegance on a bar. 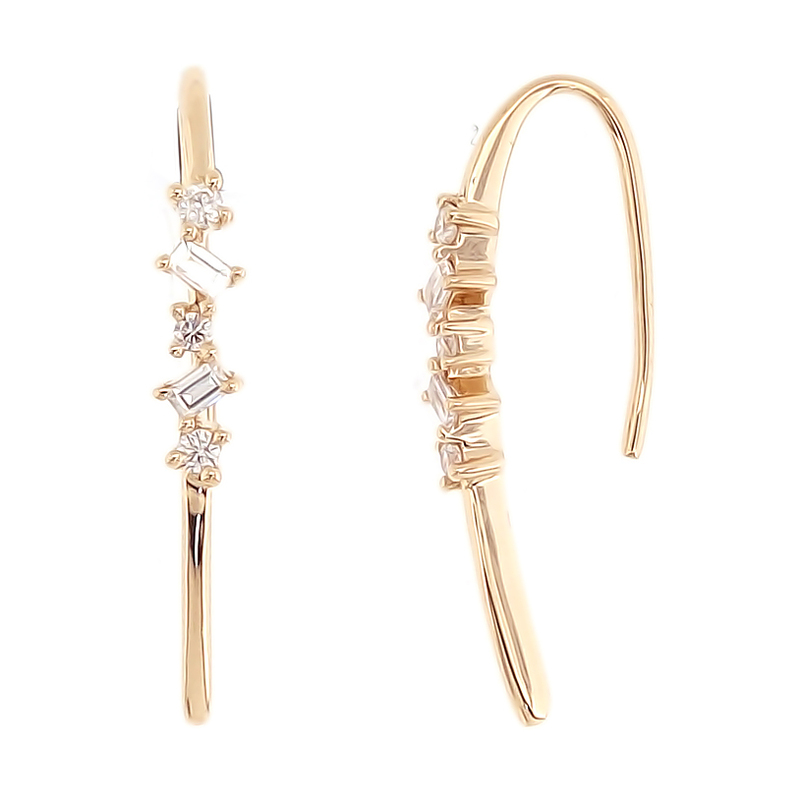 These exquisite yellow gold earrings hook through the ear, the diamonds drop down the length of the lobe adding sparkle and glamour to any outfit. The two different shape diamonds add an additional interest and unique look.